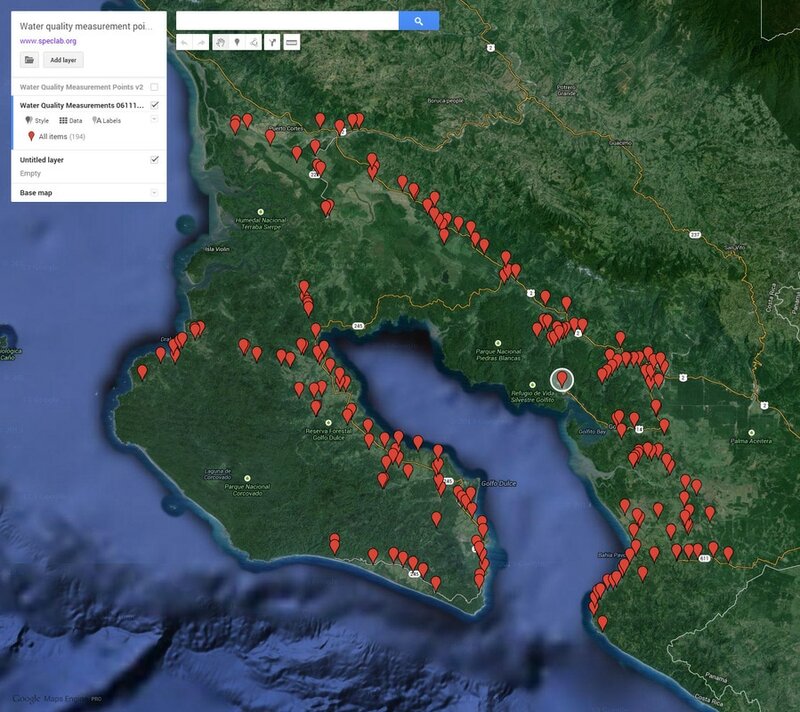 Ongoing project assessing the quality of water in the Osa Peninsula and Golfito region of Costa Rica. 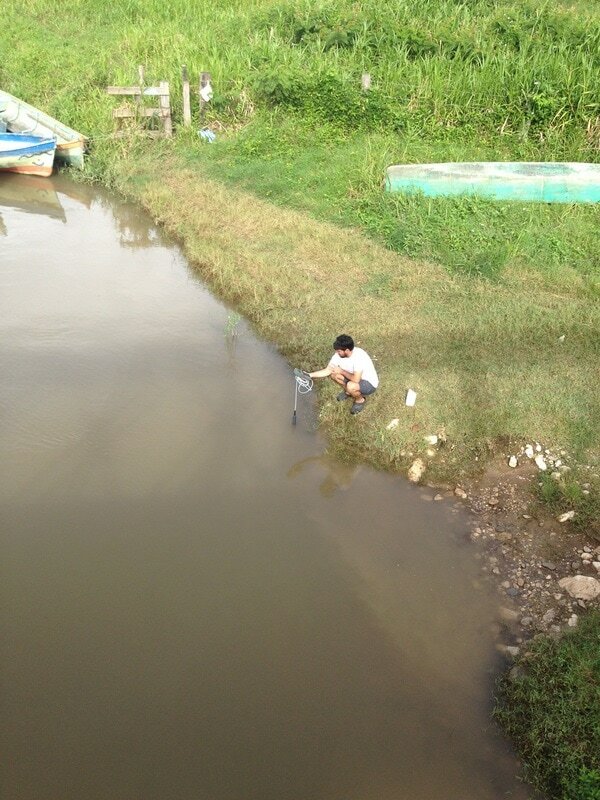 Starting summer, 2014 we measured water samples throughout the region using a Hanna 98280 Multiparameter and Hanna Handheld Colorimeters for Nitrogen, Nitrates, Phosphorus and Phosphates. The HI 98280 multiparameter meter combines an integrated GPS receiver with simultaneous measurements of 13 different water quality parameters (6 measured, 7 calculated), specifically pH, pH/mV, ORP, % saturation DO, mg/L DO, EC, absolute EC, resistivity, TDS, salinity, seawater specific gravity, atmospheric pressure and temperature.Water quality measurements are then linked with the results of our Osa Mapas project to identify linkages among land use and land cover change, water quality parameters and human health issues. Future efforts will then be done to parameterize basic models of water quality using modified versions of the InVEST models, and to include measurements of more nutrients and pesticides.